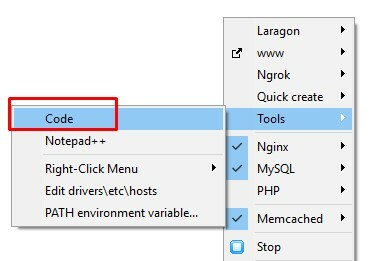 This release added nginx to Laragon's services which has been requested many times from many developers. Supported Nginx. Yes, it is fully-managed by Laragon. Well, I installed without deleting the old one. It can't connect to MySql. 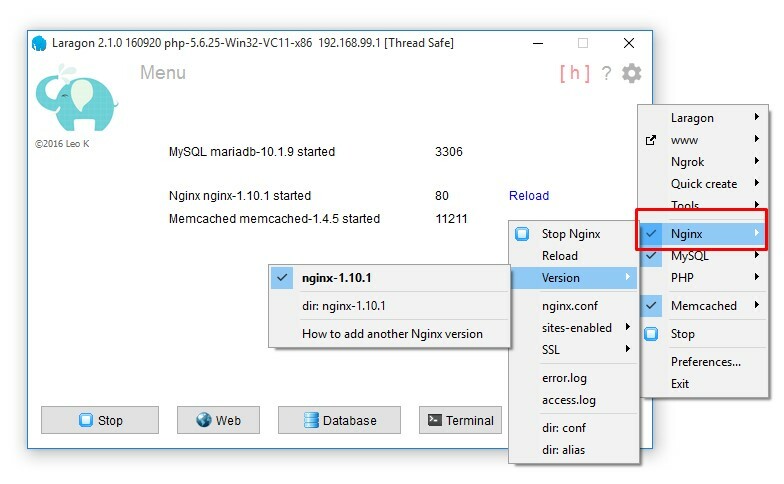 @atilkan : If you had used MySQL 5.7.13, click Menu > MySQL > Version and switch to it. If not, please attach the error message so I can help. @atilkan BTW It is working now. I did what you said. Switched Mysql. 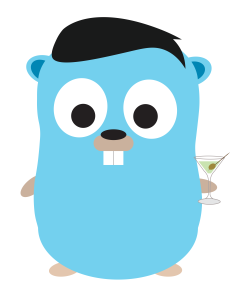 @behzad : How about browsering from the VPS? I mean localhost. Get this error on the new install. @Danil : Click on Menu > Nginx > error.log, what do you see? @Danil : Pls check your firewall or antivirus.